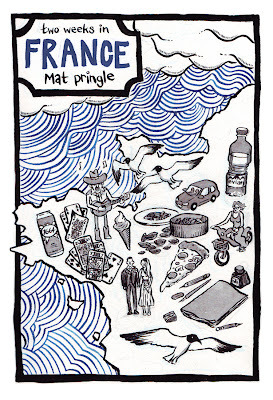 While I was in France in August I tried to do a daily diary illustration. It was going to be a zine but I'm too busy to get it printed at the moment so I'll be posting them up here for the next couple of weeks. This one was inspired by a book I was reading at the time called 'The Selected Works of T.S Spivet' by Reif Larsen which has a beautiful illustrated cover by Joe McClaren. 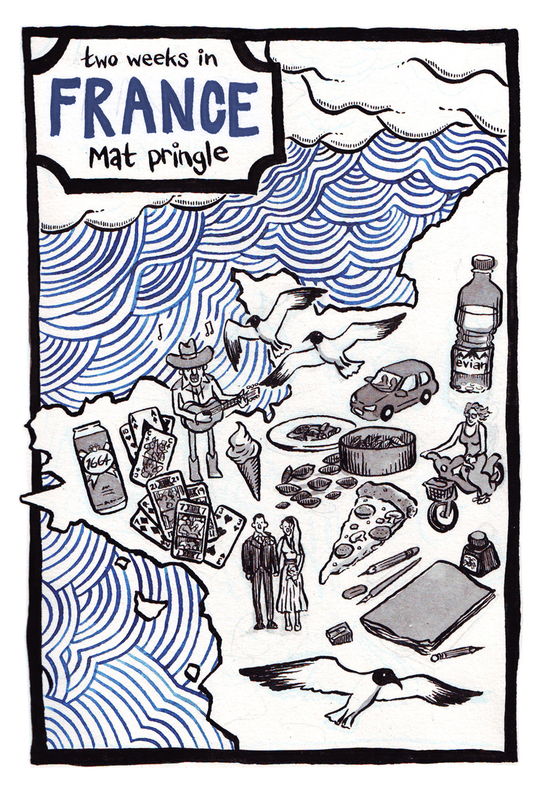 I applied (stole) his concept for my journeys around France.